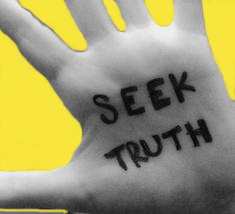 When politicians in positions of relative or specific power in Croatia, especially those beating the drum of integration between Croatia and its diaspora, visit the diaspora, which is made up of all sides of historical political spectrums, one would expect them to park their politics at the door and engage with all sides. Given that those in power in Croatia have so far shown little, if any interest, in ridding Croatia of the stronghold former communists have over the nation’s life, which is plummeting into living standard chaos and desperation for many, one would expect that the side that promotes remembrance of victims and justice for the multitudes of communist crimes that occurred during the life of communist Yugoslavia as well as the victims of Croatia’s 1990’s Homeland War would finally receive due notice, without any reservations. But no, what Croatia still has in its corridors of power is multitudes of unrepentant supporters of the communist system that killed hundreds of thousands of innocent people and chased out in fear for their own life and survival, into the diaspora, equally as many. It still has too many in the corridors of power that avoid reckoning with the Serb and communist Yugoslavia Army aggressors who sought to destroy the Croats who wanted freedom from communist Yugoslavia. If the spark of a push to decommunise Croatia fails to ignite big fires within the people to achieve decommnisation then the die-hard communist Yugoslavia supporters will go to their graves believing that all the murder had been worth it in order to achieve that deluded fantasy of a “worker’s paradise”, which in reality brought workers to their knees as inflation in the country, by late 1980’s, surged beyond 1100%. So powerful is ideology that a person can be brilliant in certain fields of professional pursuits and yet at the same time totally blind to one form of evil. And communism in Yugoslavia was evil. 1990’s Serb aggression against Croatia was evil. How one views the extreme, pathological end of an ideology also influences how one looks at its norms. The young in Croatia are distressingly ignorant of the crimes of communist Yugoslavia, they are also ignorant of the fact that Serb aggression against Croatia in early 1990’s was based on intent to murder and intent to ethnically cleanse Croats from their lands (specifically one-third of Croatia that became known during the war [and after the Croats were ethnically cleansed and multitudes murdered] as Republic of Serbian Krajina). They are ignorant of these facts because the powers that be systematically cover-up the crimes or fail to pay due diligence to them and downplay the absolute need for self-defense and self-preservation Croats were forced into. One way to remedy this situation and set Croatia on the right footing to full democracy based on a reconciled past is commemorate the victims of Communism in the same way it’s done for the victims of all totalitarian regimes. There should be no concept of competition in this as all totalitarian regimes carried almost equal loads of indulgence that resulted in human sufferings. In dealing with the legacies of fifty-year communist dictatorship in Croatia (as part of former Yugoslavia), the transition to democracy, after the Homeland War ended and all Serb-occupied territory liberated or reintegrated (1998) official Croatia has never confronted itself with the issue of what to do with the perpetrators of oppression and human rights violations before 1990, and to what extent, and how, to compensate the victims; to punish the perpetrators of mass murders and purges. Multitudes of people were at one point or another imprisoned on political grounds, scores upon scores sentenced to death without a fair trial, scores upon scores assassinated and murdered both in Croatia and in the diaspora, the whole Croatian national identity vilified as extremist, properties confiscated or nationalised for the use and/or ownership of communist operatives … a screening procedure by which people who had been collaborators or informers of the secret police (UDBA) as well as high ranking party officials should be banned from prominent positions in the government, the army, and the courts has not been developed nor adopted. Lustration did not occur and it must, whether it be through a radical break or some negotiated compromise. Croatia should not and must not forget any of those who paid for its present freedom from communist Yugoslavia in one way or another. Independent courts should impartially consider the possible guilt of those who were responsible for the persecutions, so that the truth about the communist past may be fully revealed. This is, however, only a dream of democracy amidst the court system that still harbours those who participated in the persecutions in one way or another. Compensating the victims of communist crimes is the last thing Croatian political machinery in power wants to do. Compensating the victims of the 1990’s Homeland War is a far, far cry from any justice or human dignity; why, Croatia has not even claimed from Serbia calculated war damages amounting to some 44 billion euro! That says quite a lot about the will, or rather the lack of it, in Croatia’s power corridors to fully address the victims of Serb aggression and the losses Croatia sustained. Commemorative events, laying wreaths at many mass gravesites and the Bleiburg field for victims of communist crimes and memorial cemeteries or gravesites for victims of the Homeland War have become a way of life in Croatia for many who keep the memory of hard-won freedom alive. While this in essence is a pursuit of human dignity and remembrance it is not enough for justice and for collective remembrance; it reduces national suffering to individual or group ones; it waters down the suffering Croats have endured under communism in Yugoslavia and under Serb-aggression as Croatia set about breaking away from communist Yugoslavia. 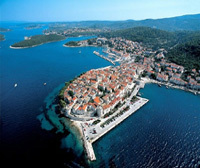 In recent months the Sydney, Australia, based world renowned artist of Croatian descent, along with his numerous family members a victim of communist crimes and oppression, Charles Billich, publicly announced his wish and plan to erect a memorial monument in Croatia honouring the victims of communist crimes and the victims of the 1990’s Homeland War. Without a doubt this gesture has national pride significance for the Croatian people and their suffering. Knowing the terrible history associated with those victims such a monument is surely a platform that lifts into a permanent conscience the debt a free and independent democratic Croatia owes to them. But, as it appeared via a recent visit to Australia by the Croatia’s state secretary for the government office for Croats living outside Croatia, Zvonko Milas and Vukovar’s mayor Ivan Penava, seen as representing a “leading” political mood hovering about Croatia, such honouring of victims of communist crimes and those of the Homeland War is avoided rather than encouraged. In the same party of visitors to Australia were also two men, heroic Homeland War veterans, Damir Plavsic and Damir Markus, writers, producers and activists of the theatrical play “The Battle for Vuovar” (Vukovar was devastated by Serb aggression during the 1990’s Homeland War and became the symbol of Croatia’s fight for independence from communist Yugoslavia). 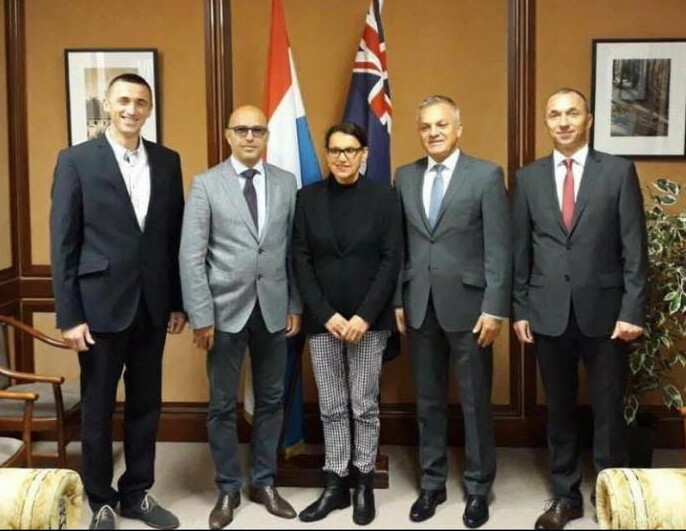 The “political” representatives of this group visiting Australia, Zvonko Milas and Ivan Penava, made a point to meet with the former Western Australia Legislative Council member and former Australian Labor Party minister WA Ljiljanna Ravlich, a Croatian born former Australian politician whose father was a communist Partisan in the Yugoslav Army and whom she has proudly painted a portrait of with the (Red) star on his cap, but expressly avoided even acknowledging Charles Billich, let alone offering a hand-shake for his announced remarkable gift to Croatia in the form of a monument to victims of communist crimes and Homeland War. 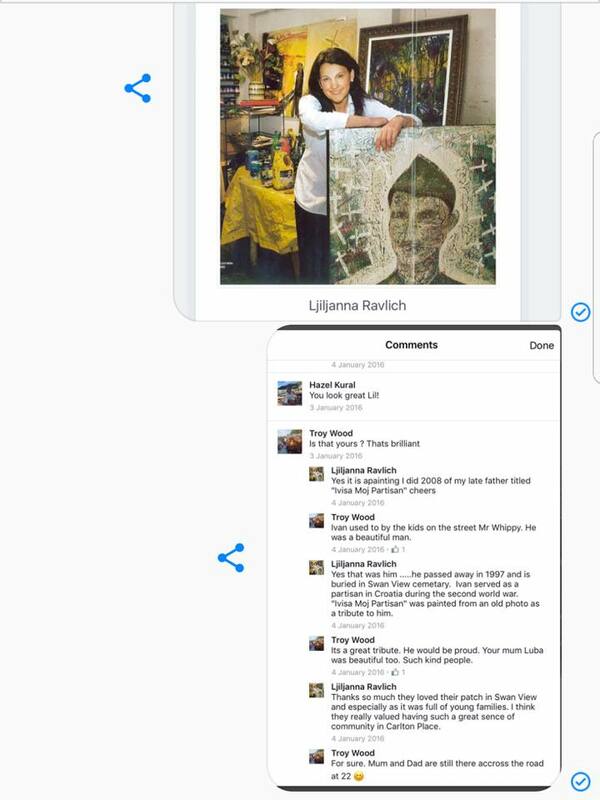 This expressed avoidance occurred at a Croatian club in Sydney where Billich attended to honour the visitors from Croatia even at the cost of having to leave his prior engagement as official artist of the World Polo Championships held this month in Sydney. 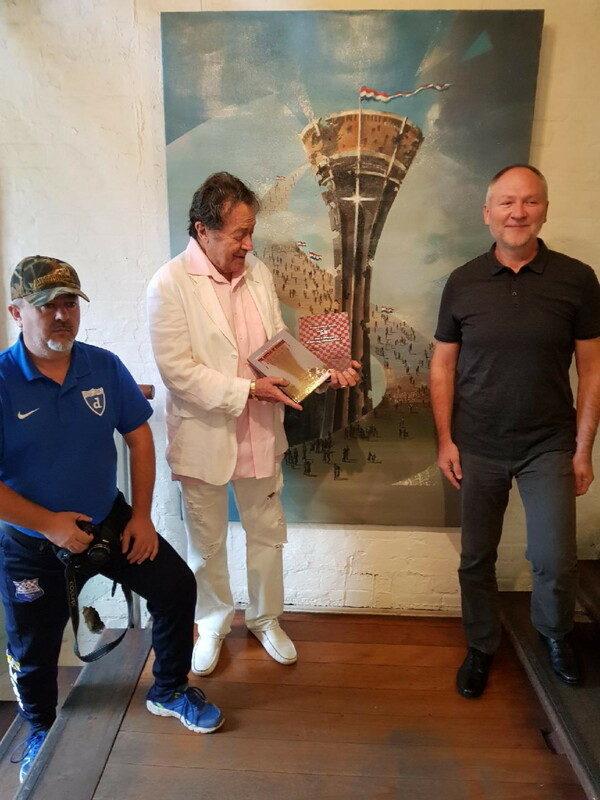 Croatia’s veterans and defenders of Vukovar, Damir Plavsic and Damir Markus made the point of meeting with Charles Billich at the same Croatian club and visiting his gallery at the Rocks, in Sydney. They also invited Billich to give a speech at the Croatian Club, which he accepted, confirming yet again his determined and monetarily generous plan to erect the monument in Croatia to victims of communist crimes and Croatia’s Homeland War. I Stiven Kustro will stand with you Ina… against this evil machine that has suffocated our true love and respect of all that is beautiful… Croatia will stand tall and we will continue the fight and be proud of all its glory as long as we have Ina Vukic and Charles Billich… And yes we will win. “moj partizan” bears an uncanny resemblance to JNA’s infamous Major Sljivencanin, who wore a similar cap as he dispatched wounded Croatian hospital patients to Ovcara. The portrait becomes particularly eerie when “moj partizan” is shown amidst a strewn array of white crosses, similar to the ones in Vukovar cemetery. JNA-Yugoslav People’s Army was indeed cluttered with Sljivcanin-like partisan-like characters who deserve no mercy not forgiveness as far as I am concerned. Brankec, even though his serving of sentence for war crimes was reduced for “good behaviour”. You know Ina, the more you write, the more horrified I am that in today’s age when you would think people would recognise those who were cruelly murdered and imprisoned would be remembered by such an honour as a memorial.. That it comes up against such odds.. This war in Croatia I so remember, and I remember sending a little aid out to help, and I wrote a poem, which I know I have shared with you before, as it touched me so deeply..
What is it about Mankind that we sweep under the carpet what happens.. While yes we move on and grow. Such wounds can not be buried as if they never were committed..
We have to acknowledge them, remember them, And make sure they NEVER happen again.. Many thanks Ina for sharing.. It really is a constant battle isn’t it to get Justice!! ..
We remember all the time yes, Sue, bit by bit, one by one, but a monument joins all the victims into one powerful place for honouring and remembrance. Can’t wait to see this happen in Croatia for victims of communist crimes and Homeland War, other victims have been given monuments long time ago. Thank you, Sue.